Roland and Hammond know what Stark is talking of doing. "Stark, this is extremely risky...your going against a tyrannosaurid with mixed traits that give it a bit of everything" says John. "Not to mention the obvious aggression increase; are you sure the suit can take what that Albertosaurus is prepared to dish out" asks Roland. "Well, you got to remember, guys. It's not called 'Iron-Man' for a reason. The iron suited metal should protect everywhere from a bit from the predator." says Jennifer to both Hammond & Roland. "I hope so, Jen." <=/ Yoko says to Jennifer. Stark nodded in Jennifer's statement. Before he turned back to the "suitcase" itself with a small sigh, understanding the risk he is taking & knowing what both Hammond & Roland mean. "I know......I know it's risky. Which is why I only considered this as a last resort. Incase nothing else worked, which I hoped would not be the case.......I only wear the suit only for show. I never use it for combat or as a weapon." he stated to them both. "....But seeing how it is now, I don't think we have any other option. I have to make direct contact with Rezonov to insert the tranquilizer & the dart." he then said. Then, he turned to Roland in order to answer his question. "The suit's able to stay standing after direct fire from a tank shell. I know for a fact that it can withstand any dinosaur attack...I just hope I don't have to use lethal force." "Neither do I, Stark...neither do I" says John. Roland knows that Hammond takes public safety seriously, but he is aware that John sometimes puts the safety of his dinosaurs over others including himself. "Don't worry John, he will get him" says Roland putting his hand on John's shoulder. "Yeah, Anthony won't harm Rezonav." <;3 Jennifer says to Hammond, giving him a pat to his back. Yoko soon walked up to Stark, "You'd better be carefull, Anthony." <=3 she says with a smile. "You just come back in one piece. & not worry your assitant." <;3 Yoko says, reffering to Jennifer. "B-Be careful Mr. Stark." <83 Ami soon said with Yoko. "You'd better come back in once piece." <=3 Jennifer says with a light punch to Stark's shoulder, "I will." <;3 she says. Stark soon turned around. Back towards the case in which was now sitting upon the nearby table. He knew what had to be done now. He knew what he had to do. Thus, he approached the red, & metallic looking case & took a moment of silence & a deep breath, before making his commands. "JARVIS......Fire it up." he simply said! As the case soon began to display a hand scan & a retinal scan for Stark. Doing both, the suitcase soon responded with JARVIS's own voice! "->AS YOU WISH, SIR.<-" The AI merely responded! & with that, Stark merely took the case & placed it on the ground. Where he then used his foot to "unlock" the cases mechanism! Revealing what shockingly appeared to be advanced machinery inside! & plates of powerful metal & iron coated in red! Roland and John stand by to watch Stark suit up to deal with the rampaging Reznov. Meanwhile, the theropod tears apart what is left of the cow below the tower. The case had finally been opened to reveal Stark's advanced technology inside. Gadgets & metal plates revealing themselves to the others & what appeared to be two handles, attached to two, red gauntlets. Stark leaned down to grab the two handles & soon inserted his hands inside the gauntlets after a twist of the handles & locking them in. The sound of gadgets moving & assembling could soon be heard inside, as Stark then picked up the case towards his chest & his chest piece. The metal & the armor inside soon made contact to his chest & thus locked in place with a "clanging" sound. With armor & gadgets beginning to work & move. Then, after a quick breath, Stark suddenly spread his arms out fully! Thus extending the machinery rapidly & with a loud, sudden clang! For the former "case" had now to be revealed what appeared to be the interior of the famous Iron Man armor! As packed in something as small as a suitcase! After that.....The magic began! John and Roland watch the "Magic" unfold before them. 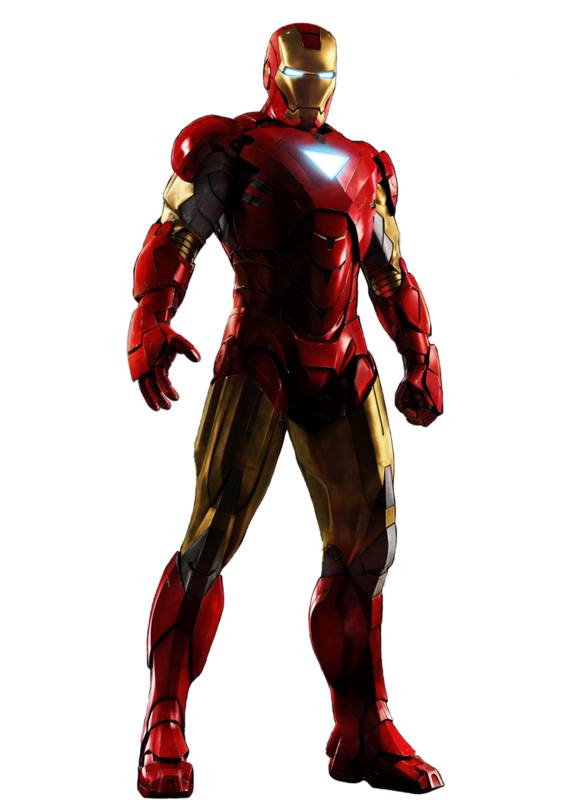 Stark suits up in his very famous Iron Man suit...so famous, it could even challenge Jurassic Park itself. Yoko went wide eyed as all this happened before her eyes. It's been quite a while since she's seen Stark's Iron Man armor. But she's never seen this suit before. Jennifer looked on with a smile, seeing the "magic" begin of the Iron Man armor. Back in the room, Samantha looks on with a worried look. She sighs as she is suddenlly peeped at by a little theropod, wich was Shelby's dinosaur. She looks at the little dinosaur, "Oh hello there little one." she says with a smile & pets the dinosaur on the head, "Is this your dinosaur, Shelby?" she asks. "Yeah, it is. That's my widdle Speckles. He's a Coelophysis." Shelby said with a wink as she watched her dinosaur, wich was named Speckles, comfort Samantha, enjoying being petted by her as well. Before the groups very eyes, it was as if Anthony Stark was transforming into a completely different being! Indeed, the technology they were seeing at the works before them was unlike anything in the world! It was as if it could only exist in science fiction. Along his entire body & his limbs, pieces & layers of red armor were being placed & overlapping one another. Some pieces began to connect with other ligements, while others fused & overlapped one another. Covering the advanced tech inside. Sheets of pure, reinforced iron coated with yellow & red were then placed over to make the outer layer. From head to toe, the suit was now beginning to come to life! John and Roland watch as Stark suits up. All the while, Reznov has finished the carcass and looks around, hear the faint noise of the suit piecing itself together. Yoko & Jennifer continued to watch Stark's suit peices come all together. As Samantha petted Speckles, Shelby turns to Simon & comforts him in a hug to cheer him up. Speckles approaches Simon as well, sniffing him. In a matter of less then a few minutes, Stark was now completely covered in layers upon layers of reinforced, titanium steel plates & armor. The pieces all went together like those of a tremendous puzzle. Soon, the sound of the arc reactor placed in his chest charging up began to be heard, a sign that the suit was now powering up with the chest piece now locked in place. It glowed brightly with a shining light & in the form of a triangle from the suit's chest piece. With his suit now online, Stark took one last look around, seeing everyone witnessing this marvel of technology unfolding & being revealed before their eyes. He made a confident grin to himself......Before the helmet finally clanged & locked shut over his face! The suit had now comed to life. John and Roland behold the amazing armor of the Iron Man suit. "Now Stark, be aware of your limits please; you may be in the suit, but your still human" says Hammond. "Good luck, my friend". Below them, Reznov now begins to move off while still in a rage filled state. Yoko looked on as she saw Stark finally come to life as Iron Man! "Yes, please be carefull, Anthony." Jennifer says to Stark with a look of concern at him. "I assure you, I'll be fine...May come back with some scratches & bruises but nothing to worry about for me....I'll make it through this." Stark said from inside his Iron Man suit. Then, after he heard Jennifer, he turned to her one last time. "I will....I promise....This wont take long." he then said. Before he finally began to make his way to the exit, with his armored feet clanging. John and Roland stand on as Stark begins to make his way out. Below everyone, Reznov scans the facility walls with the occasional twitch and saliva dripping from his jaws. He hears a faint noise, but he pays it now mind. If only he knew who was coming for him.